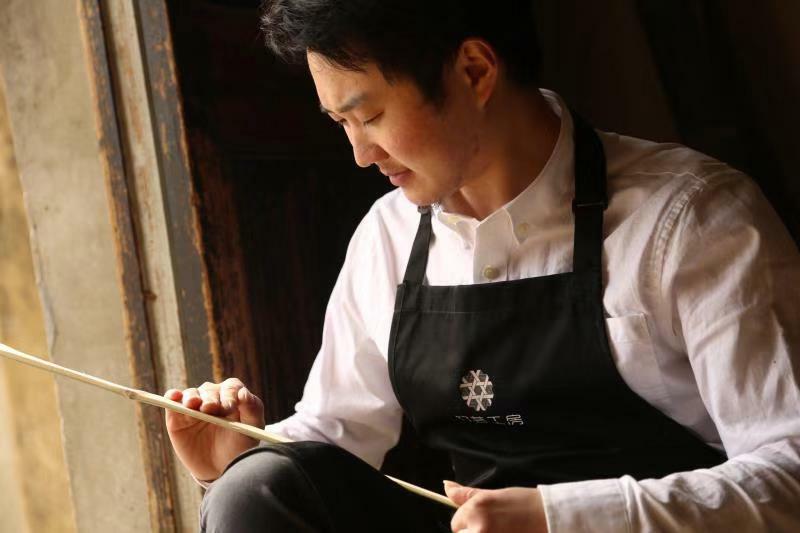 For bamboo-knitting craftsman Qian Lihuai in Wuzhen, Zhejiang province, the internet has not only altered the way he lives, but offered a golden path reviving traditional bamboo handicraft passed down over hundreds of years. Bamboo knitting in Wuzhen can be traced back more than 500 years. In 2016, it was listed as an intangible cultural heritage of Zhejiang province. Qian’s father Qian Xinming is an officially recognized inheritor of Wuzhen bamboo knitting, and has been practicing bamboo knitting in this ancient water town for 40 years. At the age of 20, Qian, then a sophomore in college, started a systematic study of the handicraft, choosing to devote himself to the traditional art world and revive the family business. He visited the neighboring areas of Shengzhou, Anji, Dongyang and Wenling to learn the slowly vanishing skill and apprenticed with Hu Zhengren, a renowned bamboo knitting master in Dongyang. If you're interested on Chinese culture and language, contact us at study@cuecc.com and we will get you the best school.